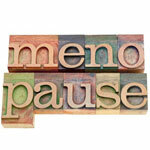 Menopause : Is Coffee Aggravating Your Hot Flashes? THURSDAY, July 24, 2014 (HealthDay News) -- Drinking caffeine may worsen the hot flashes and night sweats that affect roughly two-thirds of women as they go through menopause, new survey data suggests. "While these findings are preliminary, our study suggests that limiting caffeine intake may be useful for those postmenopausal women who have bothersome hot flashes and night sweats," said researcher Dr. Stephanie Faubion, director of the Women's Health Clinic at the Mayo Clinic in Rochester, Minn. But caffeine -- a stimulant found in coffee and colas -- appears to have a different effect on women beginning the transition into menopause (known as perimenopause). In their case, caffeine might boost their mood, memory and concentration, the survey suggested. The findings, published online July 23 in the journal Menopause, stem from a Mayo Clinic poll of more than 1,800 menopausal women conducted between 2005 and 2011. Symptoms were compared between caffeine users and nonusers. "Menopause symptoms can be challenging, but there are many management strategies to try," Faubion said. One way to gain some control over bothersome symptoms is to be careful about what one eats, she added. That means generally forgoing spicy food and hot beverages, as well as caffeine, alcohol and tobacco, she said in a Mayo news release. Given that about 85 percent of Americans drink caffeine in some form on a daily basis, Faubion and her colleagues tried to ascertain to what degree the stimulant might affect the severity of hot flashes and night sweats. Prior research on the question has offered mixed results. But responses to the current survey suggested that caffeine intake does appear to aggravate and worsen such symptoms, they found. Avoiding caffeine, maintaining a healthy weight, staying active and adopting meditative techniques can help, Faubion said. She also advocated dressing in removable layers, and sleeping with moisture-control bedding as additional means to limit the discomfort menopausal symptoms can sometimes bring about. A woman generally reaches menopause -- the time when her periods stop -- after age 45.